Any Californian who qualified could enroll in CSU and UC. And if they didn’t meet the requirements needed, they could still go to a community college and then transfer to a CSU or UC. Higher Education is a right! The Master Plan committed UC, CSU and the Community Colleges to a tuition-free education for California students—with students having to pay only for materials and service fees (like lab fees, etc.). Only in the last few decades have fees been treated as tuition. Higher education would be well-funded to ensure that students received a high quality education.  SQE is committed to dismanlting the interlocking systems of institutional power that have led to a demise of the CSU. We are against privitization, corporate sponsorship, and top-down governance–and truly beleive that the People’s University should be governed by the people, for the people. 1968: A 5-month strike led by BSU & Third World Liberation Front students at SF State results in the creation of the first College of Ethnic Studies in the US. 2004: Mass student protests prevent the elimination of EOP and restores $40 million to the CSU. 2008: An alliance of students, staff, faculty, and admin hold rallies and protests that result in $98 million restored to the CSU. 2009-2010: Historic walkouts, occupations, and protests (incl. March 4th– National Day of Action) result in an additional $365.6 million in funding for the CSU. Nov. 2012: Students help pass prop.30, which prevents a $250 million budget cut to the CSU, and results in a refund of a 9% student fee increase. Dec. 2012: Chancellor Reed resigns, following years of student protests, and demands for his resignation. Students also defeat CSU “punishment fees” by lobbying legislators and trustees. Summer 2013: Middle Class Scholarship Act passes, cutting tuition by 40% for families that make less than $100,000. CSU students win a tuition “freeze” for the coming years, and an additional $125 million in funding for the CSU. 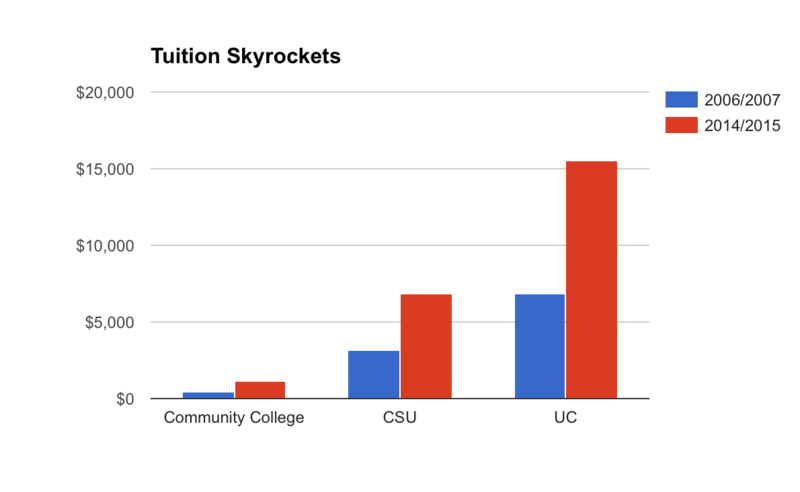 Spring and Fall 2014: Students at several CSU’s defeat and roll back “Student Success Fees” by educating, organizing, and petitioning fellow students and campus community members. This results in the BOT adopting more “democratic” ways to implement campus fees statewide. Fall and Spring 2016: Students from all CSU campuses organized in support of the California Faculty Association’s Fight for Five. SQE held “strike schools”, walkouts, boycotts, and rallies in order to provide solidarity with our struggling faculty in what would have been the largest strike in higher education history. In the end, students and faculty won a progressive contract ensuring that faculty recoup at least some of the financial losses they suffered during the Great Recession. Spring 2016: SQE hosted a statewide day of action held at 7 CSU campuses across the system (SF State, Chico State, Cal Poly SLO, CSU LA, CSU Stanislaus, and Fresno State) to oppose the sustainable financial model–a model that puts the CSU on the path towards annually increasing tuition, privatized services, higher admin salaries, fewer professors, more contingent/adjunct faculty, and fewer support services for students. Several campuses held “funerals” for the CSU, signaling the death of the California Master Plan and the beginning of the end for public higher education. While the plan remains in existence, our organizing prompted the CSU Board of Trustees to remove mandatory annual fee increases from the plan, instead implementing “annual reviews” of tuition completed by the BOT. May 2016: Students at San Francisco State University and members of the Third World Liberation Front 2016 stage several mass sit-ins and rallies protesting massive cuts to the College of Ethnic Studies. With proposed cuts to over half the budget, students planned and executed a hunger strike that lasted 10 days and prompted the University to reinvest and advance the College of Ethnic Studies. June 2016: CSU students and faculty organize and lobby the California Legislature for over $100 million in increased funding for the 2016-17 budget. Student Fees in 1965 when CSU was first created: $105 for the year.